Mixed feelings, that was the first impression I had when I stepped into this brand new restaurant at John Bright Street. 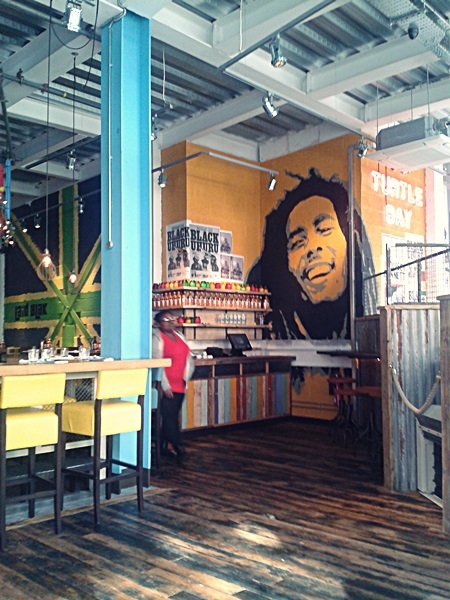 A chain with eight restaurants spread over the country, Turtle Bay is the new caribbean of city centre. 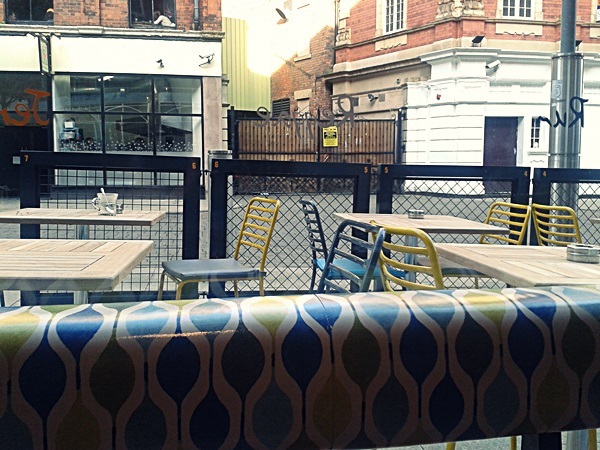 With the temperatures - hopefully - rising in a couple of weeks, it will be a nice point where Brummies can feel the heat because not just the food but also the vibe at Turtle Bay are both hot. Yet in the entrance, you can spot a certain "beach mood air" with all coloured chairs outside the bar. I can see it working pretty well in a vibrant summertime at John Bright. Inside, the restaurant firstly looked like a giant and colourful student bar. I have to confess that I wasn't that impressed and I have to give a second look at Turtle Bay to make me believe it's more than just a trendy student bar indeed. I was informed by a friend that it used to be a rock bar and it was already a big spaced bar, back in those days too. From where I was sitting, I could check the nice urban art on the walls. The decor is very trendy, focused in urban art and vibrant colours. I could also spot the nice (and packed) tropical bar in front of me where some really nice cocktails would be about to be consumed some minutes later. Yes, we appreciate all of them. 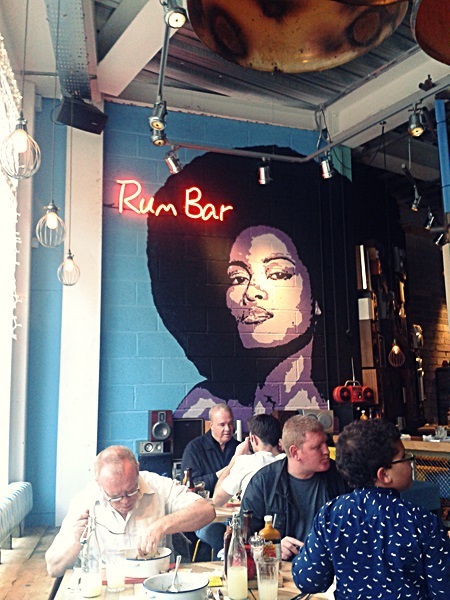 Turtle Bay is impressive in offering vibrant food and drinks as expected and it's definitely a great adding to Birmingham and its extensive Caribbean community. I was expecting some nice music but I was surprised to listen to a version of Wish you Were Here-Reggae style, to be honest. It worked so well that I'd like to know who sings it. The food is outstanding, I have to say. Especially for a chain restaurant. Even skipping the starter, it's pretty clear that all the cutters options seemed delicious. Next time, starter included. Goats Cheese, Aubergine and Butternut Squash Salad chosen by my friend. Nice one! For a light bite, my Street Burger filled me up properly. A combination of several flavours that really got me. 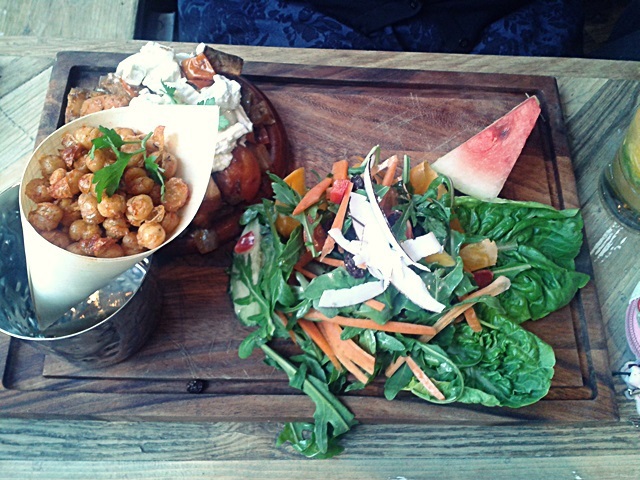 Love the Caribbean fries and dressed salad as a complement to the meal. 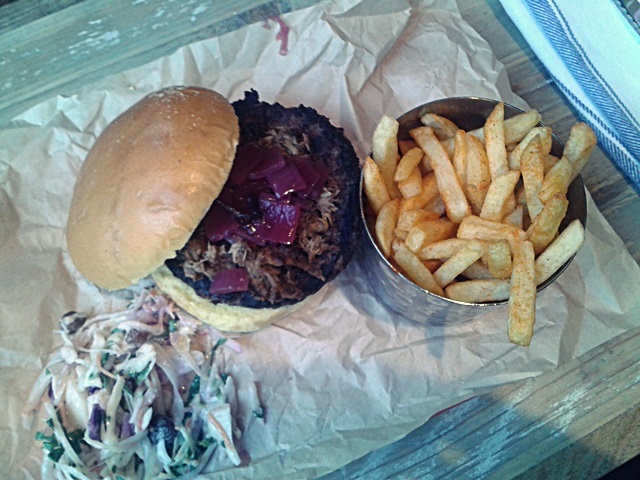 The waitress was a bit confused about our orders but it ended up well when I decided for the burger, anyway. No regrets at all. I also have skipped the puddings but I am still tempted to try the Caymanas Rum Cake some day very soon. Cocktails, cocktails and cocktail: Turtle Bay has a range of cocktails that probably captivates the public that visit the restaurant pretty quickly. 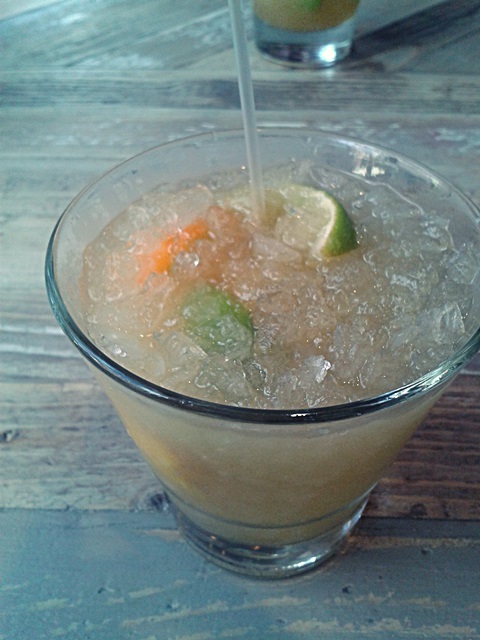 In my case, as soon as I spotted the Bay Caipirinha, I knew it would be my first choice. However, my friend was already waiting for me with a delicious and mysterious drink that I forgot to ask which one it was, actually. Delicious, anyway. Bay Caipirinha was another good surprise. I have no idea they would serve such an unique type of caipirinha made with orange, ginger, fresh limes and Santa Tereza Rum. To end up an afternoon of many cocktails and caribbean experience, my favourite passion fruit cocktail on Earth. Again, no names. 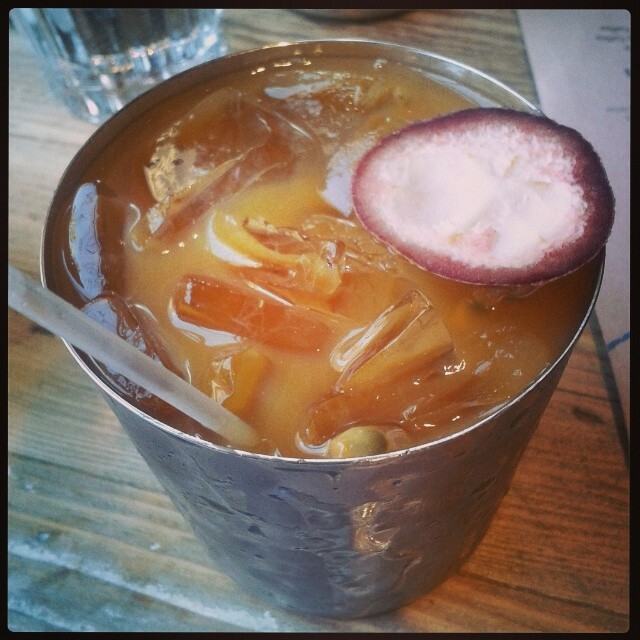 Just a nice taste to remember that I have to visit Turtle Bay again and make my homework properly. Meaning: more cocktails and very spicy food.